School-Home Support (SHS) is a charity working with children and families to maximise educational opportunities and improve life chances. 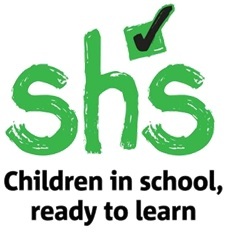 Partnering with schools, local authorities and communities, SHS looks beyond the classroom to understand and tackle the issues affecting children’s learning, such as poverty, inadequate housing and mental ill health. Since 1984, we have used early intervention to break intergenerational cycles of deprivation and low aspiration, replacing them with children in school and ready to learn. The biggest influence on a child’s life is their experiences at home. SHS employs expert practitioners to work with families on addressing a wide range of complex issues, building their engagement and resilience so that they can resolve future issues independently. Without this support, children are much less likely to achieve their best potential.